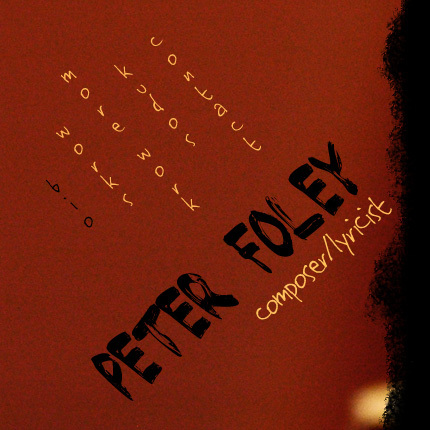 PETER FOLEY writes music for theater, television, film, and recital. His music and lyrics for the THE HIDDEN SKY earned him a New American Works grant from the National Endowment for the Arts, the Richard Rodgers Award (from the American Academy of Arts and Letters), the Stephen Sondheim Award (from the American Music Theater Festival), and a grant from the Jonathan Larson Foundation. THE HIDDEN SKY (book by Kate Chisholm, based on a short story by acclaimed author Ursula K. Le Guin) premiered at the Prince Music Theater in Philadelphia, where it received seven Barrymore Award nominations, including Outstanding Original Score and Outstanding New Play; it was subsequently produced at the Spirit Of Broadway theater in Norwich, CT, where it received a Spirit Award for Outstanding New Score. 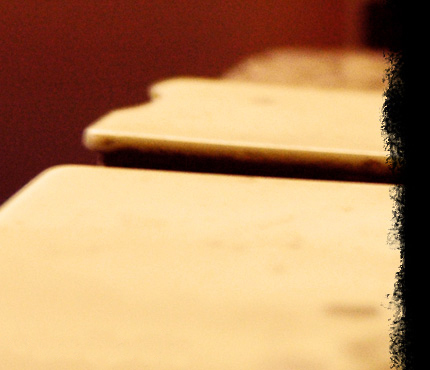 Concert versions have been performed at Ars Nova and Joe’s Pub in NYC, and the New York premiere was produced by Prospect Theater Company, directed by Kate Chisholm, in 2010. Peter’s other stage works include music for “To Sing” from SONGS FROM AN UNMADE BED (New York Theatre Workshop), a short operetta, THE BEAR (numerous productions), and scores for several plays, including NEWTON’S UNIVERSE (St. Ann’s Warehouse), HENRY V (New Jersey Shakespeare Festival), and ALICE IN WONDERLAND (Berkeley Theater Project). Upcoming theater projects include a commission from the Public Theater (NY) for a new work with playwright Ellen McLaughlin; I CAPTURE THE CASTLE, commissioned by the Signature Theater (Arlington, VA) as part of their “American Musical Voices: The Next Generation” program; and an original musical comedy, BLOOM. Peter’s songs have been performed at Lincoln Center’s American Songbook, the New York Festival Of Song, Symphony Space, La MaMa, and Town Hall, among other venues. 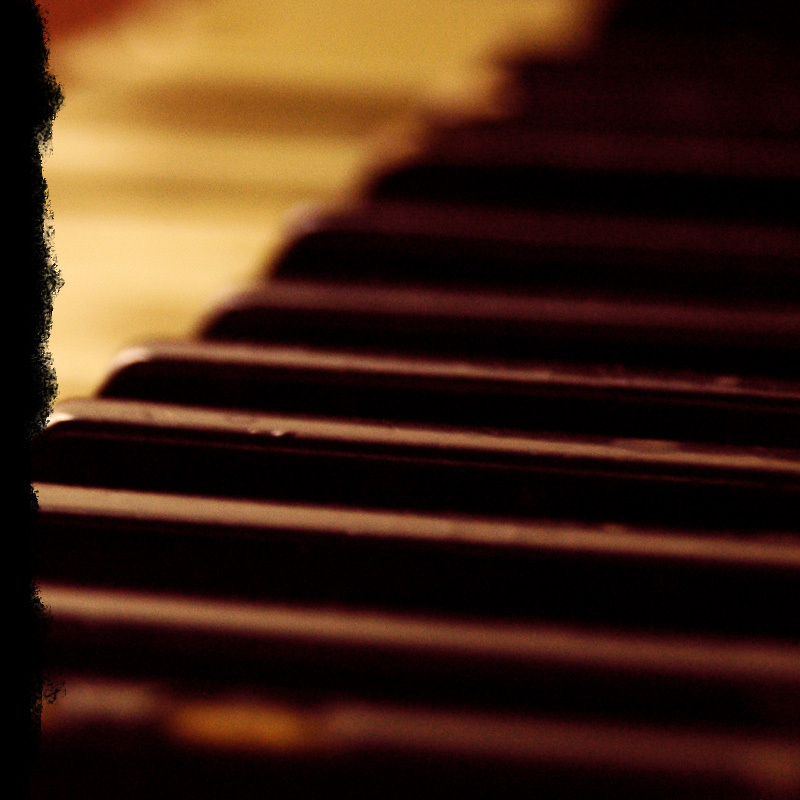 An accomplished pianist, Peter served as musical director/keyboardist for the premieres of Rinde Eckert’s HIGHWAY ULYSSES (American Repertory Theater, dir. Robert Woodruff), Kenneth Vega’s HEARTFIELD (Baltimore Theater Project), and for several concerts by actor/singer-songwriter Manoel Felciano.